Boomerang® color-matched MasterSeries hard tire covers feature a locking polished stainless steel ring and plastic faceplate. The polished stainless steel ring gives your Toyota Fj Cruiser a distinctively upscale look while protecting your spare tire. 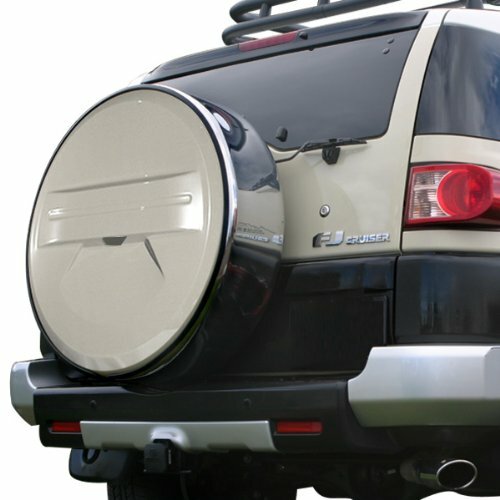 FJ owners love the easy installation, superior protection and upscale look these color-matched hard color-matched covers add to their vehicles' rear profile. This item is backed by the manufacturers 3 year limited warranty.